The Crew Labor Module perpetually tracks all Crew Labor Hours. This is made possible through a direct polling link to the store’s time clock. 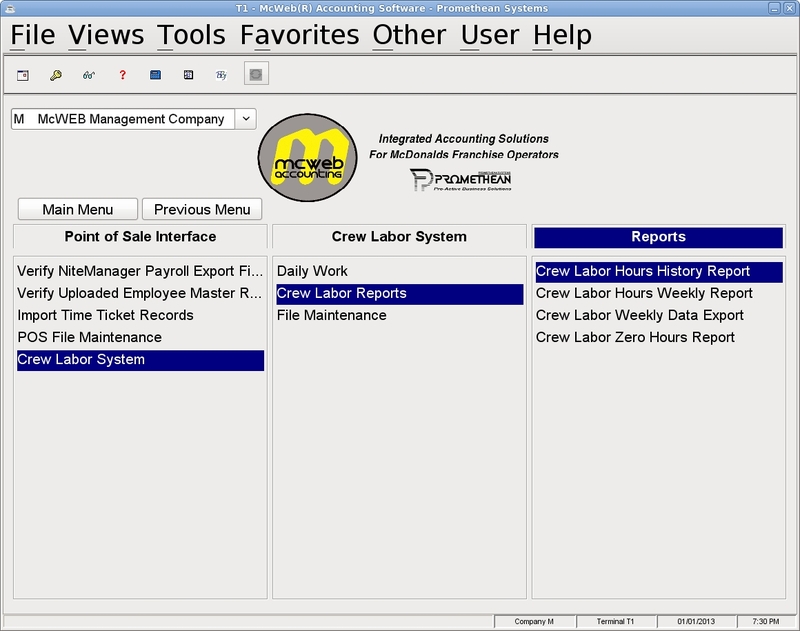 Crew Labor Reports can be generated for any Store(s), and Crew Member(s), for any Range of Date(s). This tool is important in tracking and managing Crew Labor Hours, but now, in the age of the Affordable Health Care Act, is mission critical in enabling the Franchise Operator to respond the new and ever growing reporting requirements!